The DC-10 is a 3-engine commercial wide-body airplane developed by the American company Douglas (now part of Boeing). The KC-10A Extender is een military platform of the DC-10 30F serie. Sixty airplanes were build for the US Air Force. One DC-10 rashed, 59 were still operational in 2013. The Royal Netherlands Air Force (RNLAF) has 2 KDC-10 tanker-/ transport airplanes (tailnumbers: T-235 and T-264) which were bought from the Dutch civil airliner Martinair. The KDC-10's are stationed with 334 squadron on Eindhoven Air Force Base. The Royal Netherlands Air Force (RNLAF) has 1 DC-10 transport airplane which was bought from the civil airliner United Airlines. 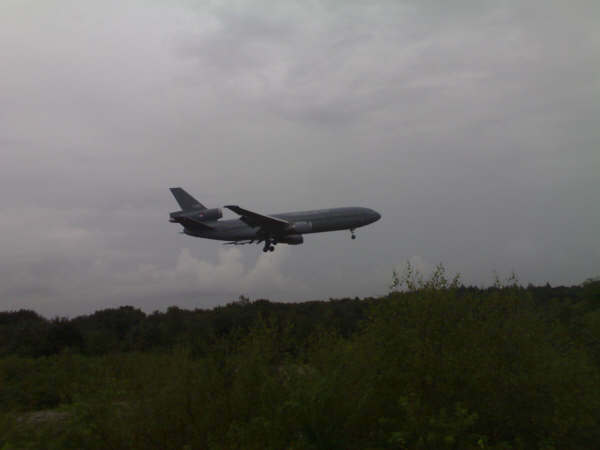 The DC-10's is stationed with 334 squadron on Eindhoven Air Force Base. 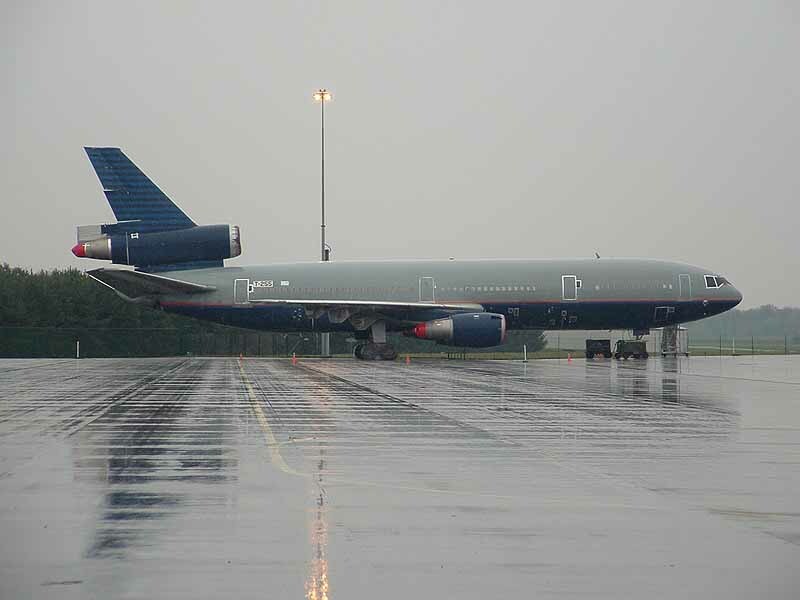 n 2005, the Royal Netherlands Air Force (RNLAF) bought a third DC-10. 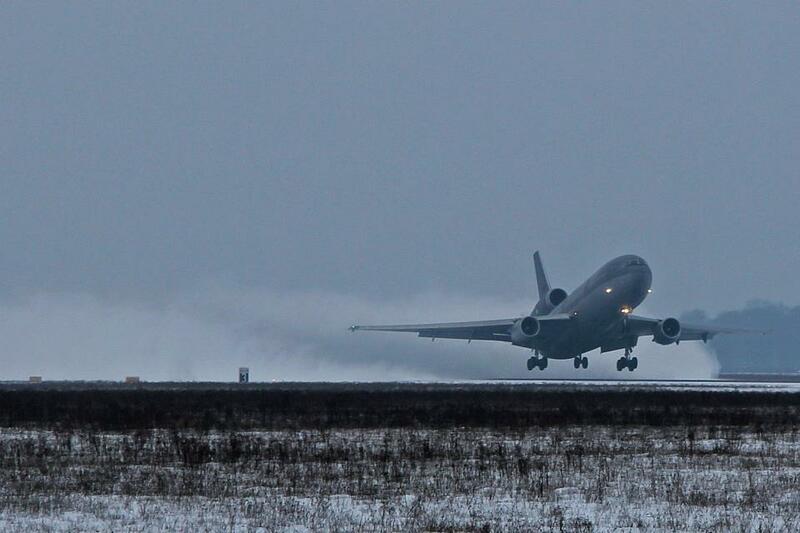 With the 3rd DC-10, the 2 other KDC-10 aircraft can be used more for the tanker role. 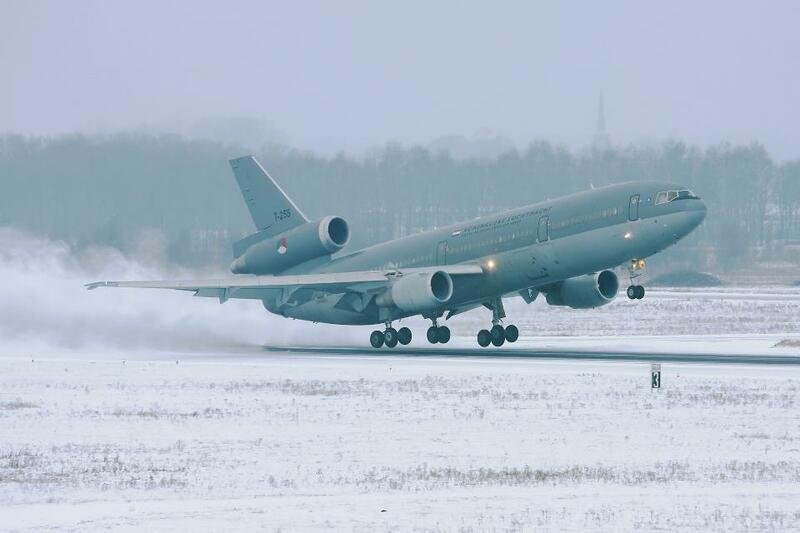 In May 2006 the DC-10 has been delivered to the Dutch Air Force after a modification in Italy. The DC-10 will not be equipped with the boom system to refuel other aircraft. On April 8, 2011, the Dutch Minister of Defence announced that the third DC-10 will not be taken into operational service but will be sold. Later, the decision was made to keep the DC-10 in service till the end of 2013. In 2013, the DC-10 was used to transport materials to the Malian capital Bamako to support the French initiated operation Serval.